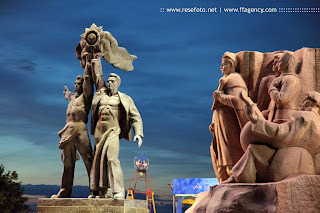 This statue is supposed to symbolize the friendship between Ukraine and Russia. The monument is located in Kiev, Ukraine. 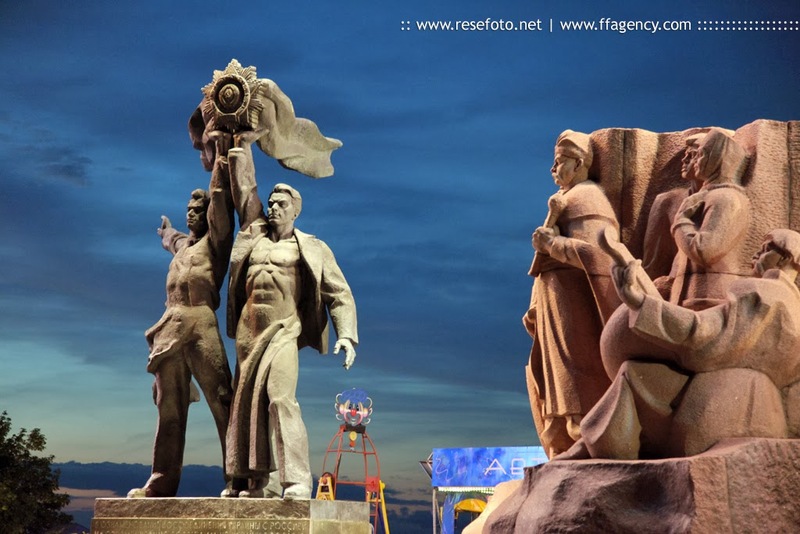 It depicts a Russian and Ukrainian worker holding up the Soviet Order of Friendship of Peoples and the other is made from granite and depicts the participants of the Pereyaslav Council of 1654.